This is the eighth in a series of articles highlighting the experiences of Private John Denholm of the 16th Battalion (Canadian Scottish) during the First World War. Articles will be published on the 100th anniversary of each event and will feature photos and ephemera from an amazing scrapbook that he compiled shortly after the war. 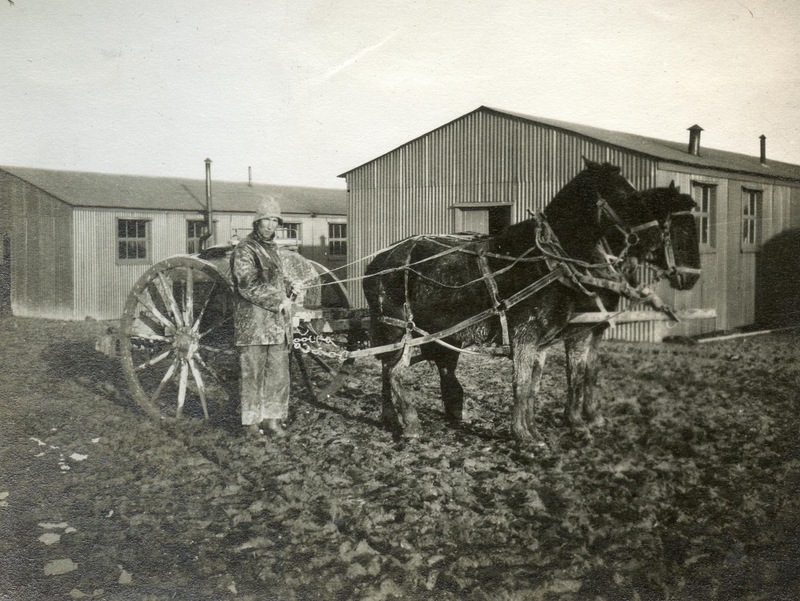 The appalling conditions on Salisbury Plain in December 1914 and January 1915 are well documented but these two photographs provide a glimpse of soldiers getting on with everyday life despite the mud and muck. Both images were taken in December after the 16th Battalion had moved out from under canvas and into huts at Lark Hill Camp. The identity of the cooks in the photograph above are currently unknown but I’m endeavouring to uncover their names. 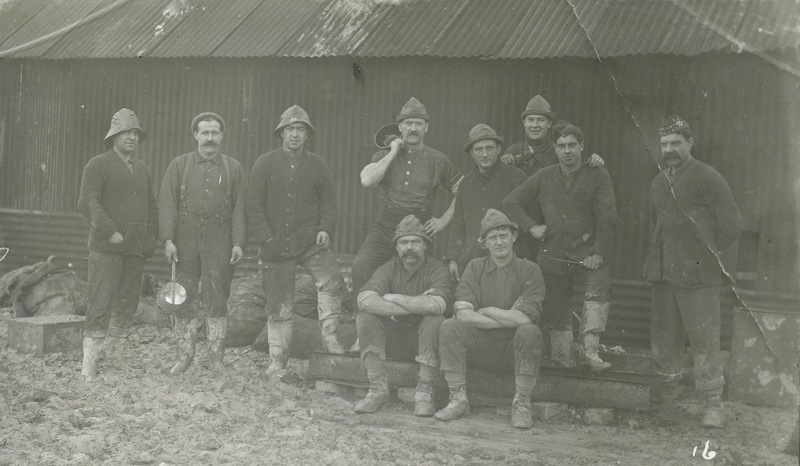 I know of at least three Cook Sergeants who served in the 16th Battalion between August 1914 and February 1915: W.T. Fitzgerald, D. McLennan and R.C. Howard. If you have information on any other cooks who served at this time please feel free to contact me. In January the weather conditions deteriorated further and wide-spread flooding forced thousands of Canadian soldiers to be billeted in towns and villages surrounding the Plain. An outbreak of spinal meningitis claimed 16 lives by mid-January and would kill another dozen Canadians before the contingent embarked for France in early February. For a day-by-day description of life in the First Canadian contingent I highly recommend you visit This Day in RMR History. As part of their centennial commemorations The Royal Montreal Regiment Foundation is blogging a daily account of the 14th Battalion (The Royal Montreal Regiment) from one hundred years ago. In addition to excerpts from the Battalion War Diarist they are publishing original newspaper articles from both Britain and Canada. You can receive daily email updates by signing up on their website.